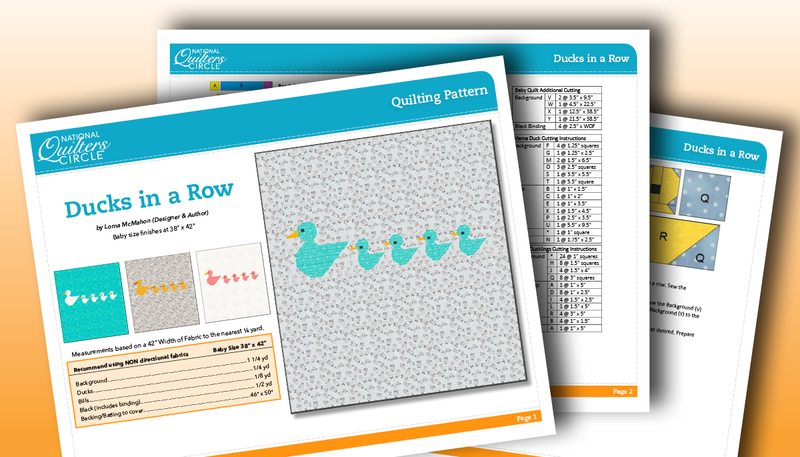 The Ducks in a Row quilt finishes at 38” x 42” and is made using traditional piecing methods. No templates needed, and there will not be any paper piecing for this project. Only simple straight line sewing and diagonal seams, perfect for any skill level! 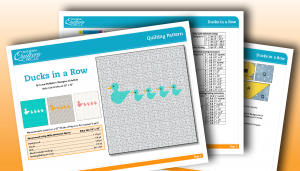 This pattern is delivered as a 4-page Downloadable PDF, which you can view and/or print.